There will always be times in life when you feel bloated and not looking your best, and this may be due to a whole host if issues including hormonal problems, a sluggish thyroid, or just plain old over eating. But the fact is, when you don’t feel good about yourself it shows in everything you do, and this unfortunately can – and most certainly will if left to fester, sabotage your life. Feeling this way is a sign that it’s time for a change, and of course like with everything in modern day life you would like to see results fast. In this post I will give you the top 10 effective tips on how to lose belly fat quickly, which will also give you a fresh lease of life and the confidence boost you need to live your fullest life. Maybe you have an event, wedding, or holiday coming up and you only have a matter of weeks to get your much desired flatter stomach. You’re wondering if it’s even possible right? Well it totally is, but you will need to be willing to totally overhaul your diet AND add in some specific belly fat blasting exercises in. This needn’t be an expensive or time-consuming venture, and you don’t even have to go hungry as I definitely don’t promote those dangerous starvation diets as they simply do not work in the long run. In fact, they just mess up your metabolism and cause you to quickly gain even more weight than before; weight that you will finder even harder to lose the next time around. Yoyo dieting is bad – really bad! Continuously losing and gaining weight is what is often referred to as yoyo dieting and is not a cycle I recommend you get into. Instead, you should relearn new ways of thinking and eating that will help you naturally change some of your bad habits for good. This really is the only surefire way that I know that will help you to look and feel great for life. And that’s not even touching on all the other awesome benefits of a healthy and fit body, such as lower risk of heart disease, obesity, diabetes, and many cancers . The list goes on, and being over weight (particularly having excess belly fat) really is a high risk factor for ALL of these dangerous health problems. So let’s get to the point: you’ve decided you would like a flatter stomach and fast; or maybe you would just like to lose a few kilos in general, but you definitely don’t want to be miserable and hungry (who does). 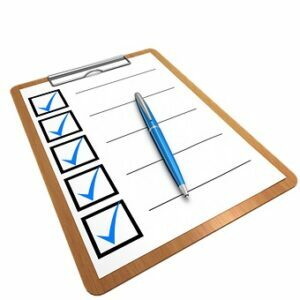 This is where you’ll need to apply some, or (if you’re really serious) ALL of the 10 steps on the below checklist. Your own determination and compliance will always determine how successful you are in your weight loss efforts, but fortunately most of these steps are pretty easily and cheaply incorporated into your life with minimum effort and if you follow them you should be seeing results in a matter of days – so happy times! The goal here is to change life long bad habits to create new neural pathways in your your brain (really not as complicated as it sounds, and happens naturally), as when this happens it will make things easier for you to stick to as they become second nature in your life. You should switch to low GI foods as much as possible if your’re serious about long term weight loss. GI stands for glycemic index and is the rating of a food releases its carbohydrate into the blood and its effects on blood glucose (the lower the GI, the better in terms of weight loss). Eating low GI foods will help keep blood sugar under control, which in turn will help to stop sugar cravings. It’s usually those annoying sugar and carbohydrate cravings that will ruin your diet efforts, and by sugar I don’t necessarily mean just things that taste sweet as refined carbohydrates such as white flours, bread and rice are high GI and act the same way as sugar does in the body. This inevitably means they will cause a sugar high, and soon after the inevitable ‘crash’. You will then find yourself craving more and more refined carbs and sugary treats to perk yourself back up again, which can often become a perpetuating cycle. But this is a slippery slope to sugar addiction, and maybe eventually obesity and disease; they don’t say sugar is MORE addictive than cocaine for nothing! The first thing to do is to try to get yourself off the sugar train by either cutting out (or seriously down on) refined sugars and carbs such as sweets, cakes, confectionery, pastries, and fast foods. Replace these with whole grains like quinoa, brown rice, buckwheat, amaranth, millet and oats; plus plenty of pulses, lentils, nuts, seeds, fruits and vegetables. These are the nasty kind of fats found in deep-fried foods, margarine’s, and fast foods. They are made industrially in a process of adding hydrogen to liquid vegetable oils which turns them solid, and they then added to our food to make it taste better and last longer. But word of warning: they are hazardous to your health and can raise your blood cholesterol levels, increasing your risk of heart attack, stroke, and type 2 diabetes. These trans fats also increase the oxidative stress in your body – meaning accelerated aging both on the inside and outside; scary right? Eating lots of these foods high in antioxidants helps to negate this, but cutting out, or drastically down on trans fats altogether is the only long term solution to keeping belly fat off for good. We do most certainly need fats, but we need the healthy kind, not just to keep our hearts healthy but to actually help boost metabolism. Healthy fats such as those found in olive oil, virgin coconut oil, avocados, nuts, seeds, and oily fish actually help your body to excrete that unwanted stored fat, and more specifically, dangerous belly fat. The omega 3 fatty acids found in oily fish, or fish oil supplements, are especially good for those in training or doing lots of exercise as they help with blood flow to the muscles. This in turn stimulates enzymes into transporting fat to where it is needed ready to be used for energy, thus boosting the fat burning process. Apple cider vinegar is a great way to help suppress appetite throughout the day. Some studies have shown that it can cause you to eat between 200-275 calories LESS throughout the rest of your day due to its effect on actually lowering blood sugar. Awesome huh? A potential free calorie burn is definitely worth the effort! These results were seen at a 30ml dose per day, preferably taken first thing in the morning before breakfast. Adding ceylon cinnamon (which is also known for its ability to reduce insulin qauntities) will help to squash sugar cravings even more, and by adding lemon juice (which is a liver detoxifyer) will help to make it even more of a triple whammy fat burning drink. I have one of these drinks every morning and feel it definitely helps keep my weight under control along with a healthy diet and exercise. Add 30ml of apple cider vinegar with the mother (this is very important as the mother is the healthful bit), half a squeezed lemon, and a teaspoon of ceylon cinnamon, to 300ml of warm water. 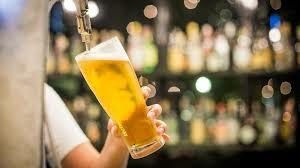 Drink in the morning on an empty stomach for best results. You may wish to add a teaspoon of raw honey for sweetness, but make sure it is a good quality raw honey as this is the kind that is known to help mobilise stored fat ready to be used as energy. 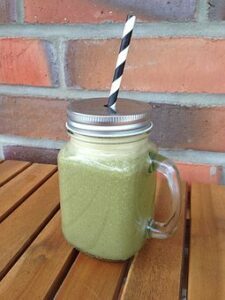 I find this drink also really boosts your skin and gets you glowing too! 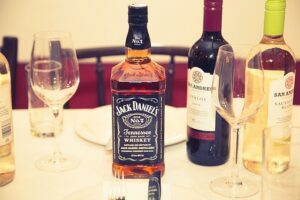 You may like a glass of red at the end of a long day to help you unwind and I don’t want to poop on that party, but alcohol is very high calorie and needs to be added towards your daily calorie intake if you don’t want to gain weight. To make matters worse it also scores zero on every nutritional front. It’s easy to forget about including drinks into your daily calorie allowance (I’m talking about ALL drinks here, including soft drinks, juices, and hot drinks with added milk, cream and sugar), but this is where a lot of hidden and unaccounted calories and fats may lie and is something to keep your eye on. As you can see, just a couple of alcoholic drinks a day which you may like to indulge in after a hard days work, can cost you over the course of a week up to 2,900 calories alone! That’s 11, 600 calories a month; astronomical when you think about it, and equates to about 6 days worth of calories per month (going by the average 2,000 calorie a day diet) JUST IN ALCOHOL. Mind-blowing maths there, and an example of why alcohol really isn’t your friend if you’re trying to lose weight, And there’s even more bad news as most alcoholic beverages can actually decrease your belly fat burning abilities. 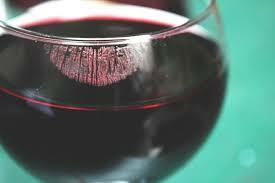 A glass of red wine can be healthy… believe it or not! A reprieve! Having said how bad alcohol can be, it just so happens that a small glass of red wine does in fact contain a phenol known as resveratrol. Resveratrol has the ability to interfere with fat synthesis, AND can also help stop the body from laying down fat stores. It’s also a powerful antioxidant, and antioxidants are anti aging. Hurrah! So, moral of the story; if you do crave an alcoholic drink to help you relax at the end of the day, then be sure to make it a glass of red… but just the one mind. Both white and green tea are effective metabolism boosters, and you should drink in abundance whichever one you prefer; or ideally a mix of both if you want to keep your metabolism revved up as much as possible. Four a day (2 of each) is a good amount for maximum results, and this alone could potentially help you to torch up to 100 calories extra a day. 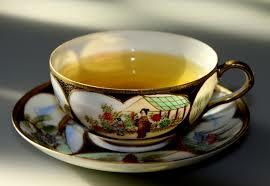 It’s also worth noting that green and white tea may even help you to lose stomach fat specifically. Contains a unique antioxidant called EGCG, which is believed to be anti inflammatory, heart friendly, and anti cancer. It also contains other catechins that can stoke metabolism by up to 4%, which may not seem much but just think about how this will add up over time – especially if you’re diligent about swapping your normal hot drinks for these healthier versions. It also contains NO calories, therefore if you usually have a high calorie latte with sugar as your beverage of choice then this would yet again be another huge calorie saving in one simple swap. White tea seems to be just as much of a superstar as green, though it doesn’t contain the EGCG antioxidant. However, it does contain around 3 times MORE polyphenols than green hence the reason for alternating. 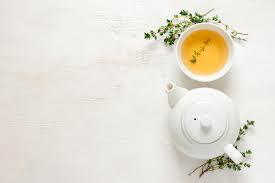 There’s also another exciting titbit of information about tea: according to a study produced by ‘Nutrition and Metabolism‘ white tea can boost fat breakdown and even block the formation of fat cells. So, time to stick the kettle on I say! Oh sleep, wonderful sleep! Most of us don’t get enough of this basic and vital function, but did you know that lack of it can have a devastating effect on your weight? More so for dangerous belly fat, so if ever there was an excuse to get more sleep then this is it. It’s a fact that 7-9 hours sleep is so crucial to us human beings that we can actually die from chronic lack of it. Not getting enough good quality kip also ups drastically your chances of obesity, heart disease, type 2 diabetes; and it can also lead to a decline in cognitive function. Lack of sleep makes you more likely to crave sugar and junk foods due to major hormones being thrown out of whack. This means you are more likely to produce more of the hunger hormone ghrelin and less of the satiety hormone leptin; both of which will spell disaster for your diet. And worse still you will be more prone to giving in to those cravings as tiredness also negatively affects willpower. Also, those extra calories are less likely to be broken down when you’re tired, because your digestive system will get lazy and won’t digest food as well as it should. All this leads to higher than normal blood sugar; and guess what, that high blood sugar encourages fat storage. To make sure you don’t end up in this vicious cycle make sure you get your sleep; its as simple as that. Cardiovascular exercise is basically any activity that gets your heart rate up such as running, exercise bike, swimming, squash, power walking, and HIIT. The list is endless when it comes to exercise, and you can easily find fun ways to do it with a little imagination. Fitness doesn’t have to mean expensive gym memberships as there are a myriad of activities you can potentially partake in for next to nothing, both in the home and outdoors. You will find some great examples in this post ‘The Importance of physical Exercise‘; please check it out and find something that you will enjoy. At least 3 x 1 hour sessions of calorie burning cardio per week will help fire up your metabolism and keep you in belly fat burning mode. Weight bearing exercise is very important when it comes to fat burning as it helps build muscle, which is in itself a huge calorie burner. So, moral of the story – keep muscle mass up as much as possible if you want to keep in shape. 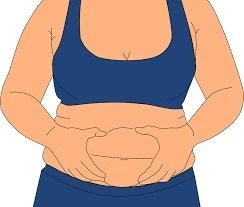 Doing stomach toning exercises, such as sit ups and planks, will also strengthen and ‘pull in’ the muscles that lie below your belly fat, thus giving the illusion of a slimmer stomach. If you are exercising a lot then you may wish to consider a protein supplement. In fact, a high protein diet in general will help to keep your muscle mass high whilst still losing fat, which is very important as you do not want to lose precious muscle mass whilst dieting (a thing that is very easy to do as your body prefers to burn muscle instead if fat for fuel when calories are low). Remember – you need high muscle mass to keep your metabolism stoked and burning calories. Supplementing 30 grams of a good quality protein powder within half an hour of waking (no carbs at all with it) will boost your metabolism and help you to burn more calories throughout the day. Some professional sports nutritionists say that this figure could be up to 400 calories MORE a day, but I will leave you to find out for yourself how well it works for you. Hula Hooping – a way to lose belly fat fast at home! I couldn’t end this section about exercise without mentioning the fastest and most effective belly fat toner I’ve ever personally tried – hula hooping. The caveat is, it must be a weighted hula hoop for maximum effectiveness, but this is exercise is seriously effective if you do it every day as it tones your abdominal muscles pretty fast. You can hula hoop anywhere, even in front of the TV, and you only need to do it about 20-30 minutes 5 x per week to see quick results. The adult weighted hula hoop (specifically designed for the job) is a cheap investment and is my number one recommendation for fat burning, along with a variety of the other suggestions on this list – the more the better. If you want to keep will power and determination up then track your food intake and activities. You can do this really simply and easily with modern technology and use apps and fitness trackers; or even go the old-fashioned way of hand written charts, or journaling. Whatever you choose, just be sure to do it; it will make all the difference to see some kind of reference to your progression as it will create accountability, and this is a proven and effective way to keep you going when things get tough. For example, you can leave your food, exercise, body and weight goals on a chart pinned to the fridge for everybody in your household to keep an eye on. This way, if you feel like caving in you will have an incentive to keep going as you’ll have other people to answer to, in the nicest possible way of course. Whatever you decide to do from this list, be it all, or just a few of the suggestions, make sure to implement them daily. You will be surprised how quickly the little things add up; and also just how fast your body responds and adapts. I would love to hear how you get on on your health and fitness journey, and if you would like to leave a comment, or if you need any more advice then please don’t hesitate to drop me a comment below. What works for you? Do you have your own weight loss tips? I’m sure they would be of benefit to others. This is excellent advice. I eliminated the processed food and extra sugar in my diet. I also eat lots of healthy veggies and good fats. I ended up losing over 50 pounds. This is wonderful advice. Hi Wendy, thanks so much for the compliment. That’s just fantastic that you list all that weight through veggies and healthy fats. I love to hear great testimonies like this as it reaffirms to me that I’m on the right track with the advice I am giving out. I especially love to hear about people who have lost weight in a healthy manner, and those who have changed their eating habits and mentality around food for life. This really is the only way for long term health. These are great tips Stefanie! May I add one of my own? Probiotic foods and yogurt, like greek yogurt or fermented foods like kimchi. They take some getting used to but they’ve provided a lot of relief to me, especially as a means of fighting bloat. Hi there, yes you’re right and funny enough I was actually going to amend this post and write a list of fat burning foods to it, and probitic foods was one of them! So thanks for reaffirming that I should do that to complete the post. This is an excellent article as always. I’ll refer to the lack of sleep. Recently I attended a seminar where we were told that in order to achieve more success we should sleep fewer hours because we will have more time to accomplish what we want. That didn’t resonate with me because I noticed that when I’m tired, I’m not so productive and I usually accomplish less in more hours. I also noticed when I’m tired that I start craving junk food and then that kind of food makes me even more tired. I didn’t know that has something to do with hormones, and I didn’t know that lack of sleep has such an impact on belly fat. Thanks for the info. I’ll make sure to get enough sleep regularly and now I have a proper reason for that. Cheers! Hi Blanka, how bizarre that you got told to sleep less in order to achieve more! Wow, im totally gobsmacked at that advice. I have a little story to tell about sleep. For years I suffered terrible insomnia that destroyed my life and my body, and caused all sorts of things to go haywire with my health. I was like a zombie most of the time through tiredness, and I achieved nothing. I was struggling to even hold down a job through sheer exhaustion. As you can imagine, things came to a head with my health, and even though I was always into healthy eating and exercise, it was a losing battle without sleep. I couldn’t carry on the way things were so I saught help. 18 months on my life has transformed immeasurably. I now sleep as long as I please, and feel so great that I have been able to achieve fantastic things since then, such as put in the work needed to build this website. I can only give my best to the world when I am well rested, so my advice is to sleep as much as feels right. Your body only wants to sleep when it knows it needs rest, so it should be listened to. And as for lack of sleep causing belly fat, well it’s totally true. I’m finally starting to get the body I want through sleeping enough. No amount of gym and diet was doing this for me before. What a great article. It’s obvious to me that a few simple tweaks in our lifestyle can make all the difference when it comes to weight management. I’ve been doing most of the things you advised for years and I seriously couldn’t feel better! Thanks for reinforcing the healthy lifestyle! Hi Steven, thanks, and yes it is much easier than people think to be healthy and that’s what I try to reinforce in my posts. It’s great you are already doing a lit if these things and are feeling the benefits. I also try to do most things on the list too, and it makes all the difference in the world to how I feel. These are all great tricks. For me, the thing that works at losing belly fat is simply exercising with nasal breathing. It provides so many benefits. Hi Melinda, yes you’re right, exercising is definitely the best thing. And good for so many other health benefits too! I’m curious about nasal breathing and would love to know how it works? I do some kind of alternate nostril breathing already where you breath deeply whilst blocking one side of the nose, and then out slowly through the other side. This always wakes me up when I feel tired, and really relaxes me if I’m stressed. I think people underestimate the power of the breath and how important it is to breathe enough oxygen in. I think I will touch on this subject in future posts as it’s so important to health. Thanks for the reminder. Wonderful and useful post. Very practical advice. I will be trying to follow the advice. Thank you. Thanks Nadja, I am glad you have found it helpful. The more you can apply a healthy lifestyle to your life the better you will feel. Good luck, and feel free to message me with any questions and I will be happy to help. I enjoyed reading your post on how to lose belly fat quickly with you healthy and sensible tips, I also have experienced consuming more plant-based foods and less high-sugar grains has made managing my weight so much easier for me. I found this out out of no choice, I had to eliminate and go cold turkey from grains and dairy. I even experience digestive problems with gluten-free grains which forced me to go on a high plant-based diet. Hi Jeff, I’m sorry you have experienced troubles with your diet, but I guess in a way it was a good thing as it has forced you to find a different way to live and eat…and ultimately has led you to greater health. I too was somewhat ‘forced’ into this lifestyle after suffering from severe depression that totally destroyed my life. I had to find something that would help, and after much research I realised that I had to change my diet for good, and also cut down drastically on sugar and other refined carbs. Doing this, plus lots of physical exercise, literally blasted my depression away for good. The life changing effects that healthy eating and exercise had on me is what inspired me to create this website in the hope of helping others. I’m glad you enjoyed the post, and keep up your great diet! Great article Stefanie! You mentioned some very useful tips in this, even I have been tried a few of them and they really worked for me. Such informative articles really remain helpful for people looking for the ways “how to lose belly fat” I will share your post with my community of friends as well. Very well done. Hi Sarah, I’m glad you found the article informative. I think that it is always best to do more than one thing consistently if you want to keep the stomach fat off. If you do this then you should have room for treats and enjoying your food; it’s all about balance I have learnt over the years. And thanks, i would be really grateful if you were to share my post with your friends and spread the word. Stefanie thanks a lot for adding to my info! I am glad that a small glass of wine cant be that harmful right? It is all about balance. Yes, I believe everything in life is always about balance. Sometimes if you are too strict on yourself then it can cause you to give up entirely. It is far better to follow the 90/10 rule so you have a little room for the treats that you love; and if you are being good 90% of the time then that 10% of teats really isn’t going to hurt much. This is the rule I have followed for a long time and it works well, though I do understand that some folks are all or nothing types which probably makes life harder for them. And yes, isn’t it good to know you can have the odd glass of vino, and that it can even be healthy? Yay!